Like its users thousands of years ago, bone broth’s present-day advocates swear by what the broth can do for the body. So with its matured use that continues on, why might you drink bone broth every day? Though bone broth has a suggestive origin dating back over 2,500 years in Chinese medicine, it currently entertains the health world. Like its users thousands of years ago, its present-day advocates swear by what the broth can do for the body. So with its matured use that continues on, why might you drink bone broth every day? The collagen and amino acid properties of bone has the ability to support muscle mass, as a small portion of collagen constitutes muscle tissue. Amino acids are also the building blocks of protein, the macronutrient responsible for maintaining, preserving, and stimulating muscle. Bone broth is relatively low in calorie while offering robust nutrients. Consistently replacing calorically-dense foods with nutrient-rich products (including bone broth each day) can assist in the facilitation of a calorie deficit, a much needed requirement to lose weight. Diets hearty in protein further assists in weight loss whilst supporting lean body mass. Largely related to its collagen content, bone broth may offer bone support. Collagen mostly comprises bone and contributes to its strength. The calcium supplements the broth’s benefit to bone health, as it is a required mineral to build and maintain strong bones. 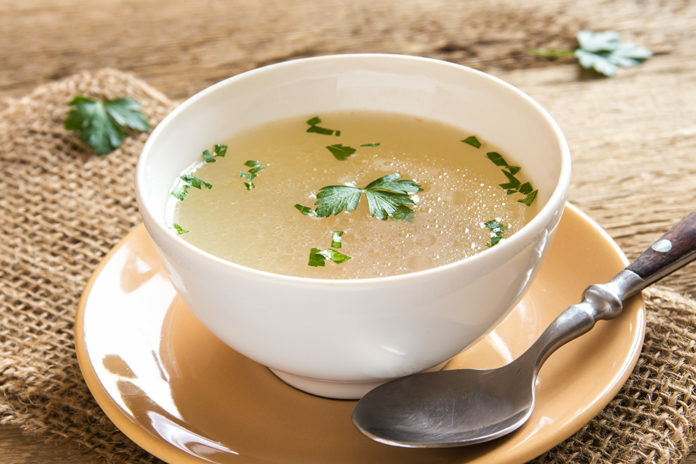 Whether managing a bowel-related condition or that seldom, pesky bloat and gas, drinking bone broth may improve and alleviate related gastrointestinal symptoms. Its easy-to-digest components may likewise be a valuable option for sensitive stomachs, including a sensitivity or intolerance to gluten or lactose. 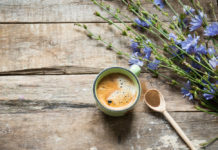 Further piggybacking on its collagen content, bone broth is advocated to reduce the appearance of cellulite, or noticeable fat deposits underneath the skin. Collagen’s role in improving elasticity of the skin, paired with its hydrating properties, may keep the skin looking vibrant and tightened. If managing arthritis, drinking bone broth every day may ease your joint pain. Bone broth is suggested to contain glucosamine, a chemical found in the fluid around the joints. Fostering and nurturing its lubrication can reduce the risk of joint breakdown, lessening the likelihood of wear and tear. Although the convincing benefits are nonetheless enticing, they are simply suggestive rather than established recommendations. Hard research lacks to associate direct links to the implied benefits and bone broth. What is known, though, is one single food should not replace a wholesome diet, comprised of all nutritious food groups. Balance by bistroMD fully embraces the concept of well-balanced meals and translates it into nutrient-rich dishes. Offering grilled salmon with creamy pesto, eggplant lasagna casserole, chicken a la king, tilapia with white wine cream sauce, beef barley and vegetable soup (and MANY more meal options), taste buds will never feel deprived of unique taste profiles. Though burnout of daily bone broth may arise, the extensive list of Balance by bistroMD meals will ignite a flavor flame! Find more options on Balance by bistroMD’s menu.